Critically Acclaimed: William Bibbiani Argues "The Incredible Hulk is the Most Underrated MCU Movie"
William Bibbiani Argues "The Incredible Hulk is the Most Underrated MCU Movie"
It's the ten-year anniversary of "The Incredible Hulk," the second film in the immensely popular Marvel Cinematic Universe, but also the most overlooked film in the franchise. Critics and fans frequently dismiss the film, directed by Louis Leterrier ("Transporter 2") as a straightforward action movie, featured that would later be explored more satisfactorily in "The Avengers," and that Mark Ruffalo would ultimately give a superior performance to "The Incredible Hulk's" Edward Norton. 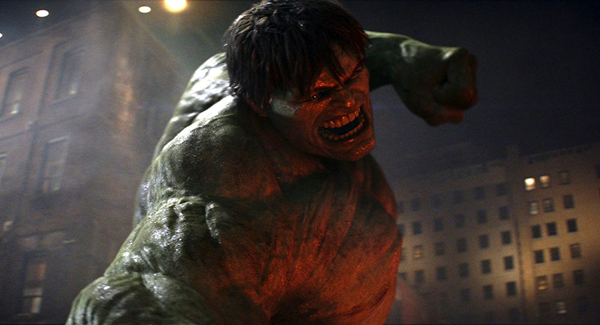 But in his latest article at IGN, William Bibbiani says "The Incredible Hulk" achieves many dramatic goals that frequently elude many of the more popular MCU movies, telling a complete narrative, embracing the darkness inherent to the character, exploring a rich love story, and organically integrating the character into a larger universe. Read: William Bibbiani Argues "The Incredible Hulk is the Most Underrated MCU Movie"
Agreed. Completely underrated. Disappointing when I have to defend this movie to people who hate the fact that I have it over Winter Soldier and Civil War (two highly praised unanimously best movies of the MCU based on...everyone apparently that I don't think are better than average) when making the MCU as a list.